Looking for a sweet treat? 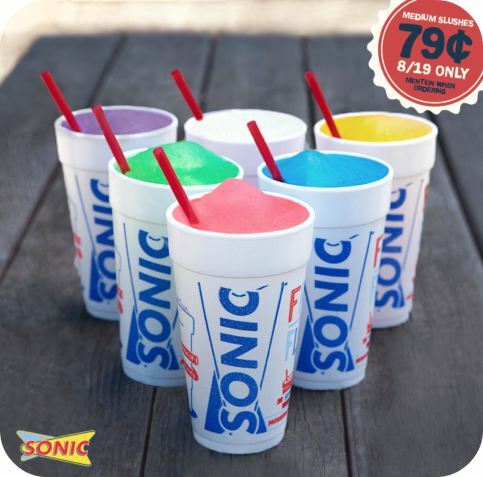 On August 19th, Sonic Drive-Ins are offering 79¢ Medium Slushes! Please mention this Facebook post when ordering and there is a limit of 4. Enjoy! *Excludes Real Ice Cream Slushes. Add-ins cost extra. Cannot be combined with other offers, including Happy Hour. Previous Post Stop, It’s Mommy Time!